Last month, I co-authored a white paper called The Definitive Practical Guide to Influencer Relationship Management. So far we’ve covered what influencer marketing is and why you should be doing it, and provided clarity on how you can set your influencer marketing objectives. 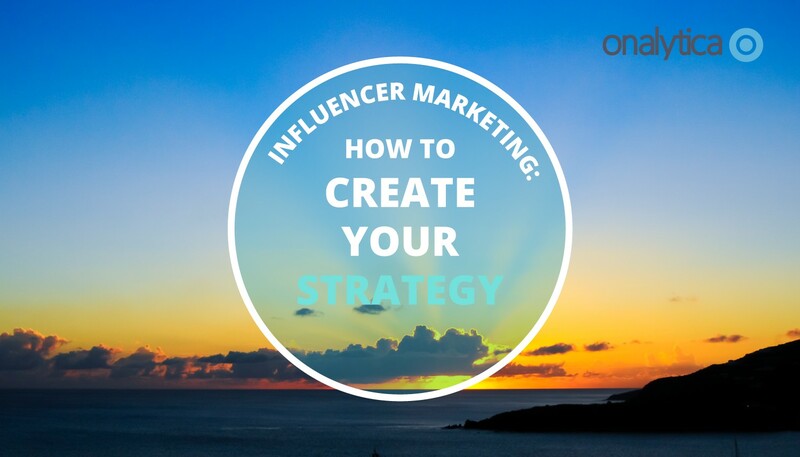 This week, we try and help you start creating your own influencer marketing strategy. You strategy focus- earned, paid or owned? Before we kick things off, some reflection; how many of you have a firm strategy in place before you start engaging with influencers, have you thought about what you want to achieve and how you will measure things, or is influencer marketing just a tick box exercise? It’s so important to think about the long-term, so ditch the smash-and-grab approach before you even start. Great, now we can start talking strategy! Influencer relations – organically building long term relationships with a variety of different influencers (brand advocates, micro-influencers, mid-range influencers). It’s important to think about these categories of focus before you start creating your strategy. As a starting point, I’d recommend focusing on one or two of these categories. Doing this will help you create some perspective on what you really want to achieve using influencer marketing and how you will get there. Bear in mind that if you are building a long-term influencer relations program, this will require a much different approach (as well as different KPI’s) than a quick-fix influencer marketplace approach that focuses on content. How much time should you invest? Another important factor that plays a role in creating your strategy is time and input. How much effort are you willing to put in? Do you have a dedicated influencer marketing team, or are you doing it solo? Do you have enough time to successfully implement your own strategy, or do you need help from a third party specialist influencer marketing agency? A successful, long-term Influencer marketing strategy requires a significant time input and I would strongly suggest involving an influencer marketing expert within the process. Influencer advertising generally tends to take less of your time, and requires less expertise, but will require a higher monetary output. I always try to create a strategy that harnesses the power of paid, owned and earned influencer marketing – but at the same time I try to focus as much as possible on long-term, sustainable & earned relationships that add value in to the influencer, the brand – and their audience. I find paid & owned influencer marketing to be effective when working on awareness metrics bearing short-term results in mind, whereas the long-term earned influencer marketing networks we’ve built are more effective for long-term strategies that focus on influencers creating multiple pieces of content and really focusing on making the brand a part of an influencer’s online life, focusing more on long-term metrics such as advocacy & recommendations. Whilst influencer marketing is a form of marketing that can easily be applied by companies in various different shapes & sizes, you have to bear in mind that start-up brands may have to invest more time & effort into garnering attention from influencers and generating brand advocacy than a well-known, more established brand. What is your current brand equity? How mature is your marketplace? Is your product category heavily influenced by key influencers? How mature are your competitors’ influencer programs? How much would it cost to achieve the same desired outcome with other forms of marketing and communications? How can you utilise your existing resources? Once you have put in place your strategy – it’s important to take a look at the resources that are internally available (employees, social media accounts, content, events etc.). These resources have the ability to build a better program and attract influencers. Guess what, I also have an example! Back in July 2017, Come Round were briefed by Mazda Europe to identify and engage with influencers from several countries in Europe and the UK and provide them with the opportunity to visit Tomorrowland, an incredibly popular house music festival in Belgium. Because Mazda was a sponsor, they were able to provide prospective influencers with VIP passes to the festival – and influencers were also allowed to bring a guest. This is a prime example of using existing resources and cleverly turning it into added value. In this case, we had a “money (almost) can’t buy” experience which attracted the likes of many high-reach European influencers and contributed to the delivery of an extremely successful campaign. This goes to show that existing resources are vitally important and turning them into added value allows your brand to stand out within the increasingly crowded influencer marketing space where brands are vying for influencers’ attention. Something to remember: influencers/content creators are people just like you and me and should not be viewed as assets or inventory. You want them to fall in love with your brand. An aspect that is very easy to forget, but very important to bear in mind. Create a list of two, maybe three competitors and analyse their influencer marketing efforts, who are they engaging, what type of content are they producing? Are they using a market place to generate content, or have they started building long-term relationships? This will help you shape your strategy accordingly and could affect your prospective influencer target list significantly. If you wish to engage with influencers that are currently working with a competitor brand, your approach will be much different than when none of your competitors are active in the influencer marketing space. My tip would be to firstly focus on the influencers who know who you are and positive towards your brand. These people have the potential to become long-term brand advocates and require less of an investment in terms of time than engaging influencers who haven’t heard of your brand. From that point – you build and grow your network and you can start focusing on key influencers within your industry. Hopefully this article will help you on the path of your own successful influencer marketing strategy – if you have any questions, please don’t hesitate to e-mail me on philip.brown@comeround.com. To download our definitive practical guide to influencer relationship management, click the button below.